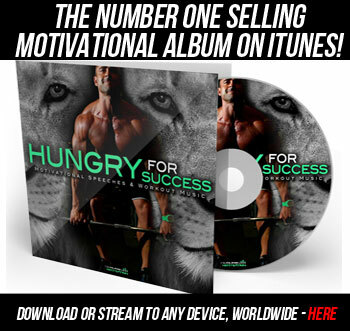 The Number ONE Motivational Speeches Album on iTunes! 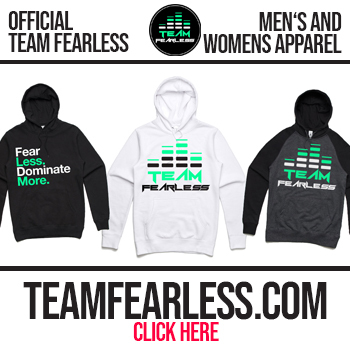 Push yourself beyond your limits with your new training partner – The Fearless Motivational music tracks. 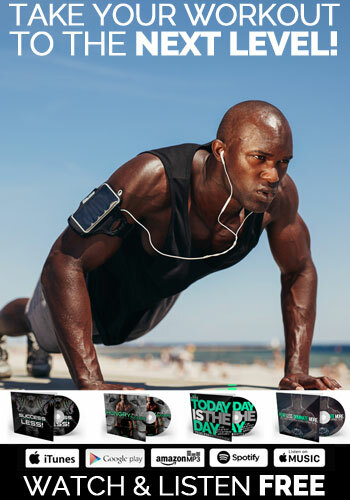 Perfect for gym motivation, workout inspiration, pre-game pump-up and motivation for any tough life situation. Get inspired and start pushing your limits NOW! Motivational Speeches For Entrepreneurs & Future Legends! 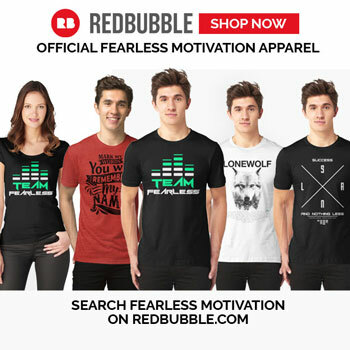 Fearless Motivation Music Tracks are made to inspire and lift you above the pack. 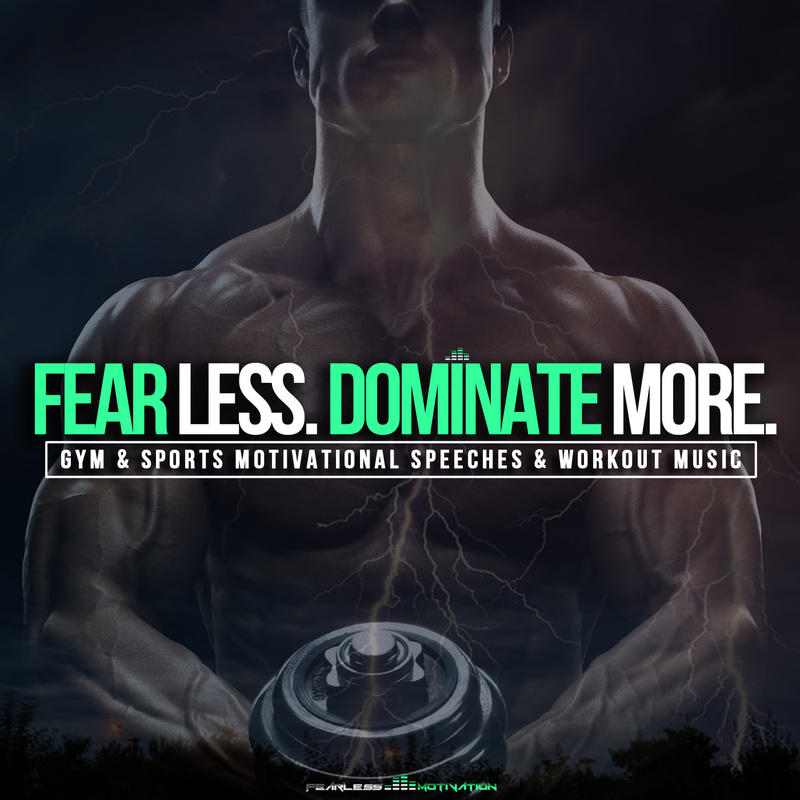 Perfect Gym Motivation Music, Life Motivational Speeches, Workout Motivation Music & General Life Inspiration. Picked up Today Is The Day album on Amazon & listened to the entire album over the weekend – excellent selection, especially the title track. As of 5AM this morning, my phone alarm is the mp3 title track Today Is The Day … I don’t currently need a musical alarm – I need motivational inspiration, and this delivers! Listened to it while working out shortly thereafter. I used to be an early riser & productive early AM but fell out of that habit over a year ago. I foresee this providing the kick to get back into that habit, as well as for listening/motivating when my focus wanders during the day. Let me just say that even though I can’t seem to find a website/email/trace of him, in addition to Jones 2.0, I’m a really big fan of Roger Shilliday. His burly authoritative commands enormous momentum and just really fires me the hell up! I too am an aspiring voice-over artist. Mr. Shilliday, keep those epic tracks coming! What is the name of the speaker on beast mode (do you even lift) at 2:06? FEARLESS MOTIVATION Has changed me mentally, spiritually, physically, and gave me hope to get back up and push myself beyond extreme limits to pursue my purpose my goals my desire my dreams my LIFE! You have changed yourself mentally, spiritually, physically, and gave yourself hope to get back up and push yourself beyond extreme limits to pursue YOUR purpose YOUR goals YOUR desire YOUR dreams YOUR LIFE!…. So well done to you. Keep going and keep growing! Is there a list of the real names for all the motivational voice artists/speakers? Just looking to learn more about the people behind the voices. Yes Brian, all speakers are listed under the individual speeches pages, and on our YouTube videos in the video description. It was great motivation . U really doing the great job . I am fully motivated for study hard prepared for my exams and for my gym,it motivates so hard touch to heart. 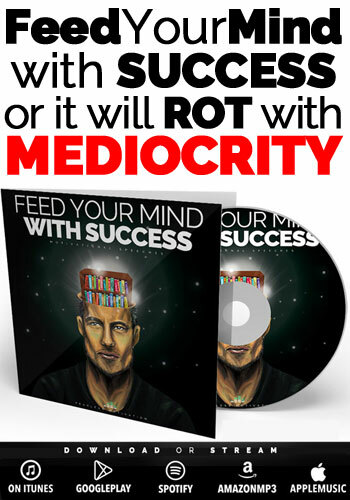 I want the mp3 version of feed your mind with success. Fantastic work by fearless motivation. I appreciate your efforts which makes me motivated towards my dreams and keep pushing me forward beyond limitations. Keep making videos. oh my my, this is so good. i am a better person today, thanks. Thank you!! James Dentley would be a great addition to your compilations. I would be happy to connect you. Look him up when you get a chance. He and Les Brown are great friends as well. Who is the speaker that has the UK English Accent? He comes out in a few but he is on “The Oath of Champions”. Jones 2.0 – All speakers are listed in the YouTube video, and speech page here. Love ur motivations, keeps me moving. But i will love u to do some motivation on living with disability. Is there anyway to get the speeches without the music?